During our time homeschooling we have found some wonderful resources that we honestly love to use. The items below vary in subject and even media type, but all have been happily used in our homeschool. Profiles From History vol. II and Profiles From History vol. III - The very first semester we homeschooled I found these lovely collections of historical biographies written for children. We use the e-book version. Amber was hooked from the beginning, especially since she could use the iPad. If the history lesson included Profiles From History, then she was happy to comply. There are even small word searches and brief discussion questions after each biography. We were truly sad to finish both volumes. 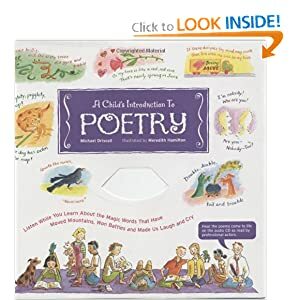 A Child's Introduction to Poetry - After showing little interest in poetry, I was shocked when Amber would ask to do more than assigned in this book. We both miss our daily poetry sessions and wish the book had been longer. This is not one that we will be parting with anytime soon. Timeline Builder - Timelines have never been our strong point, but this iPad app makes it so easy and has many options for including graphics. Amber can even create some of her own artwork, of any size, then we simply snap a photo with the iPad and it's in the timeline. We actually complete timelines with this app! Lapbooking Through the Periodic Table - This was a surprise, yet huge, hit. You can read my review of this little gem through the link. Needless to say, we had tons of fun taking an in-depth look at the periodic table during our fifth grade chemistry unit. It was the highlight of the semester. Passport United Kingdom Unit Study - Our great plan was to use this prior to and during the Olympics last summer, but that didn't pan out as intended due to Fred's illness. Still, it is so easy to use that Amber managed to do most of it on her own. We didn't do the baking as planned, but she really enjoyed all the links to live cameras in England, video tours of London, and most especially the biographies of British writers. 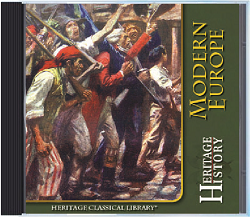 Heritage History - I know this is more an entire publisher than one resource, but we have found everything so wonderful. We have a couple of their collections on CD and regularly import books from those CDs to the iPad. We also read books online via their website. It is such a great resource for additional biographies, historical summaries, and even spine books. Heritage History saved our World War I study from becoming dull and tedious. Amber often asks "Do we have a Heritage History story to go with this lesson?" 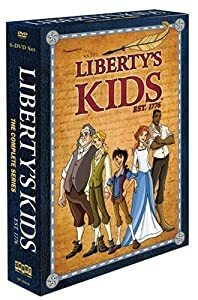 Liberty's Kids - Yes, it's a cartoon TV series, but it is surprisingly factual and the story plots intrigued Amber enough to encourage further study of the events. She was thrilled when an episode mentioned a historic figure that we'd already studied. I heard tidbits about that person for the rest of the day. The series actually is fun to watch, and ... Amber LOVED the theme song. 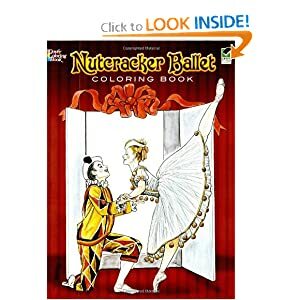 Nutcracker Ballet coloring book - Amber used used this during our Nutcracker unit and I expected it to be a time filler that she grudgingly completed. Instead, she was miffed each day when the listening and coloring time came to an end. She even colored in her free time. It's amazing, because she never was much of a colorer. Latin for Children Primer A History Reader - This is actually part of the Latin for Children curriculum, however Amber absolutely loves reading and translating from this history reader. It is better than translating random selections because it is full of interesting historical tidbits. There was a point during Primer A that we only survived because Amber had the history reader to use.